It's an odd introduction because the MSI Wind U230 is a newer model with older hardware built in. MSI has opted to outfit the Wind U230 with a hot AMD processor near the end of its life, but a processor that nonetheless at least has some legs to it. What we want to look at is the value angle. Does the Wind U230's last generation technology at least offer a decent value for the price? The AMD-powered MSI Wind U230- 040US is a good alternative to an Intel-powered netbook for the shopper needing average performance with a larger screen and keyboard. After running the MSI Wind U230 through our tests, it is safe to say that it is one of the fastest performing netbooks we have tested here at PC Perspective. (In some tests it was nearly twice as fast as the Asus Eee 1201N). 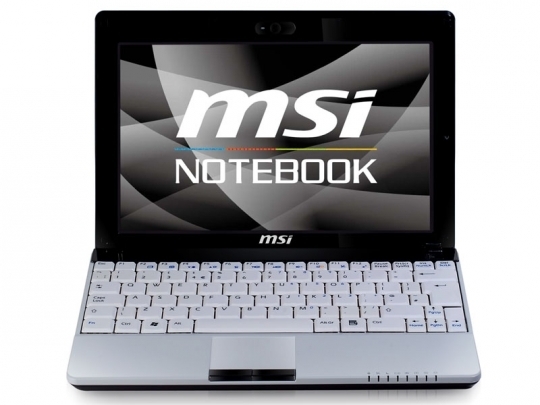 For a netbook, the MSI U230-040 definitely has some teeth to chew through some of your most intensive everyday tasks. Indeed, the Wind U230-040 was able to run Illustrator CS4, Photoshop CS4, and a host of other smaller apps simultaneously without any significant issues during my typical work day. MSI also puts their money where their mouth is by reinforcing the system with a long lasting 6-cell battery that runs 3 hours full-tilt before depleting. This means you have the ability to do some serious work (or play) while out and about. The AMD Radeon HD 3200 graphics and HDMI output makes it a good choice for professionals looking to connect to external projectors or displays, or for home users looking to watch a show or just getting a larger display to extend the desktop. L335: Einstiegs-Doppelkern Prozessor für kleine Subnotebooks. Pro Takt ist die CPU langsamer als vergleichbar Intel Prozessoren und ist daher auf dem Niveau eines 1.2 - 1.3 GHz Dual Core von Intel anzusiedeln.» Weitere Infos gibt es in unserem Prozessorvergleich Vergleich mobiler Prozessoren und der Prozessoren Benchmarkliste .